Last summer I, a thirty-something British woman, relocated from London to Chicago. 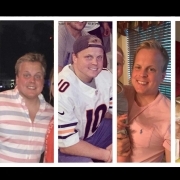 I have an extensive background in marathon and ultra-marathon running, but by the time I arrived in Chicago, at the end of June 2017, my fitness was at an all-time low. I was probably still recovering from a 156-mile ultra-marathon across the Sahara – the equivalent of running almost six marathons over seven days, which I attempted with my friend, Simon. 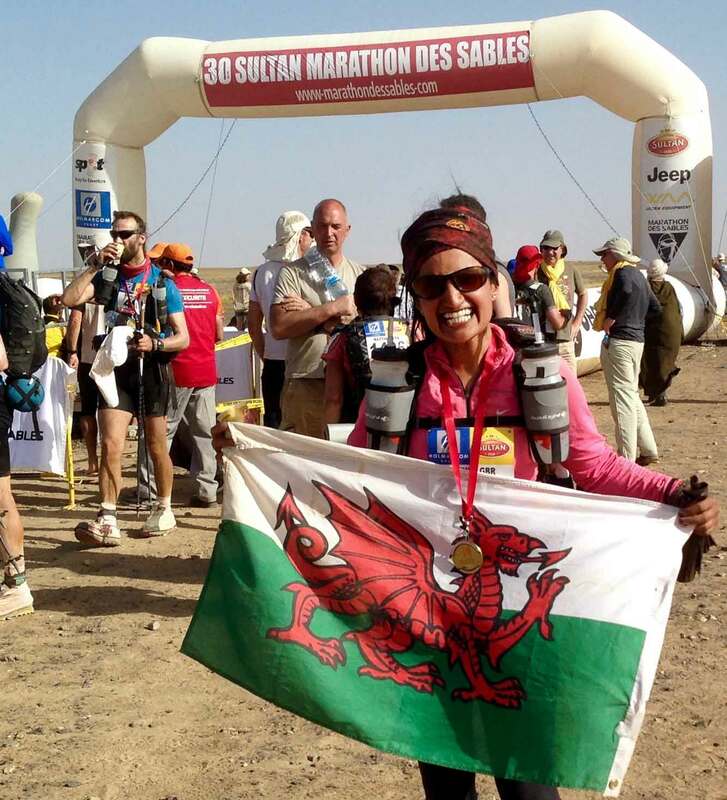 This race, The Marathon des Sables, or Marathon of the Sands, is billed as the “toughest footrace on earth”. It usually attracts a lot of military personnel and less than 6% of the runners are female. Unfortunately, Simon and I failed to complete the event – we became separated from the other runners and each other. I became lost in the desert, broke 8 toenails and suffered from severe shock. On reflection, Simon and I realized that we had not appreciated the extremely technical aspect of the race and that had been reflected in both my training and preparation for the race. 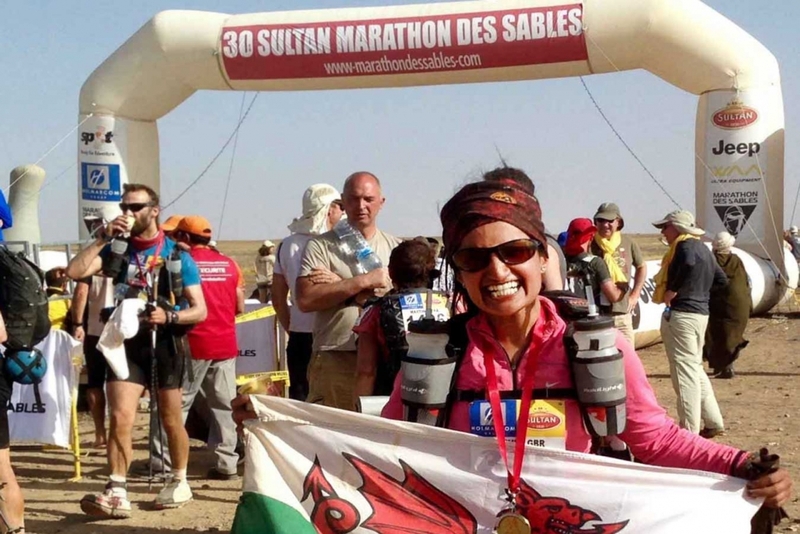 We decided to attempt the Marathon des Sables for a second time. This time, the organizers of the race decided to “celebrate” its 30th anniversary by increasing the distance to 166 miles! Einstein said, “The definition of insanity is doing the same thing over and over again, but expecting different results”. With this in mind, I decided to take a sabbatical from my business to focus on training in a different way. As I created my new training strategy, I also decided to write a book based on the lessons I had learned from failing and then (hopefully) succeeding. The Marathon des Sables is an extremely technical race; the temperature can reach up to 132 degrees Fahrenheit in the daytime, which has all sorts of implications on the foods, equipment etc. that a runner has to carry. 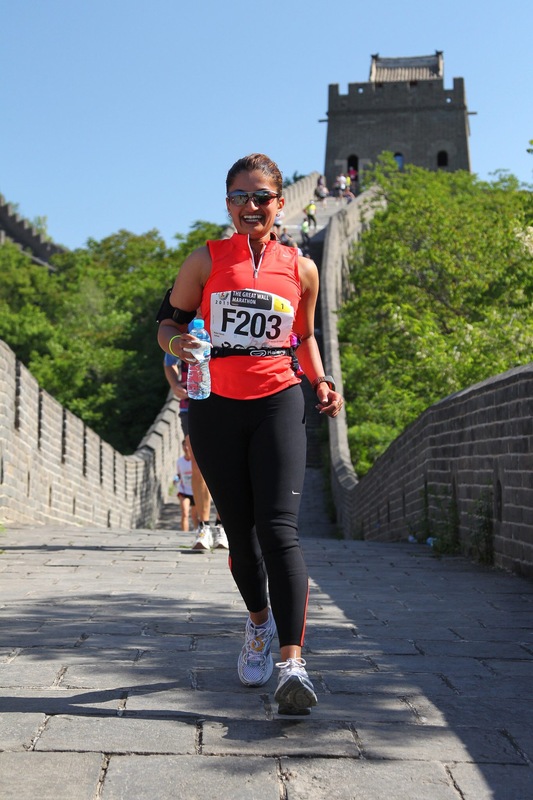 My plan was to write a book that would be part autobiographical and part technical guide, designed to help other runners so that they wouldn’t face the huge trauma I had faced and ultimately risk failing at the race altogether. At the peak of my training, I ran 120 miles per week, while carrying a 12 lb rucksack containing my desert equipment and supplies. Unfortunately, my friend Simon developed severe injuries during training and had to pull out of the race. I wrote the first draft of my manuscript on my iPhone, using the Evernote app. I didn’t want to go through the bureaucracy of a traditional publisher so decided to self-publish. I successfully completed the Marathon des Sables in 2015 and my book “Big Steps, Long Strides”, available through Amazon, was published in 2016. The Marathon des Sables was mentally and physically exhausting. I needed a significant break from running. In fact, my break was so long that when I arrived in Chicago I was at least 18 lbs overweight! Related: want more inspiration? Check out how TriMonster helped this member complete her first triathlon at 70! In Chicago, I decided to work on several goals. The first was to shed my excess weight. The second was to redevelop my base fitness and the third was to complete my first triathlon this year. I faced quite a few challenges. 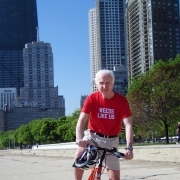 The last time I rode a bike was more than 25 years ago, and I couldn’t swim… at all! I had a passing conversation with Mike Gorrell, the membership director, who told me, “Nisha, summer bodies are made in the winter.” This comment really stuck with me and made me even more determined to shed my excess weight, so I started attending cardio and weight classes. 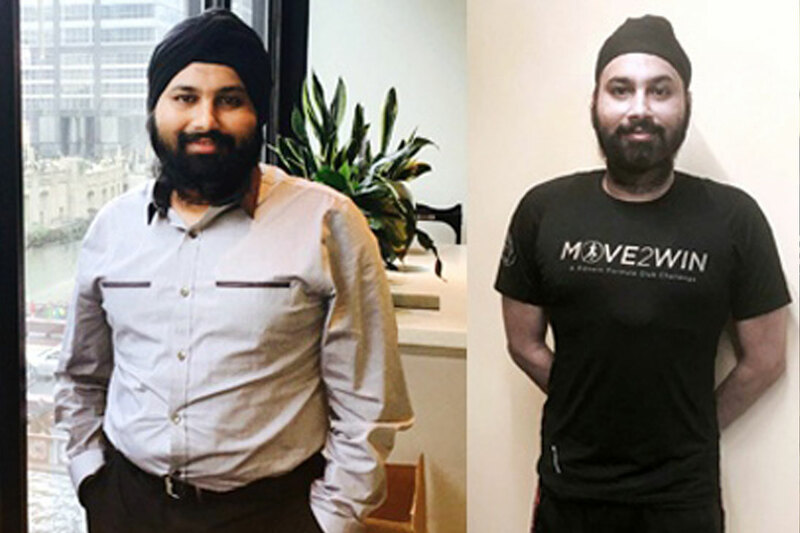 Personal trainers Neha Mayawala, Manny Hernandez and Torrence Givan took my body fat measurements and helped me with different types of training advice, and Kenneth Li helped me with my heart rate training using MYZONE. I approached Austin Head before a Tread Express class and asked if he would mind recording his voice during the class, so that I could do the same class more frequently in my own time. It was pretty audacious, but to my delight, not only did he oblige, but was totally enthusiastic about doing this for me. I find Austin’s classes to be absolutely awesome. I used to hate running on the treadmill, but the enthusiasm and encouragement from Austin (“Commit to just 90 seconds of discomfort, because you can do this!) has been amazing motivation. The combination of interval training and healthy eating meant that by the beginning of April, I’d lost almost 16 lbs of excess weight. 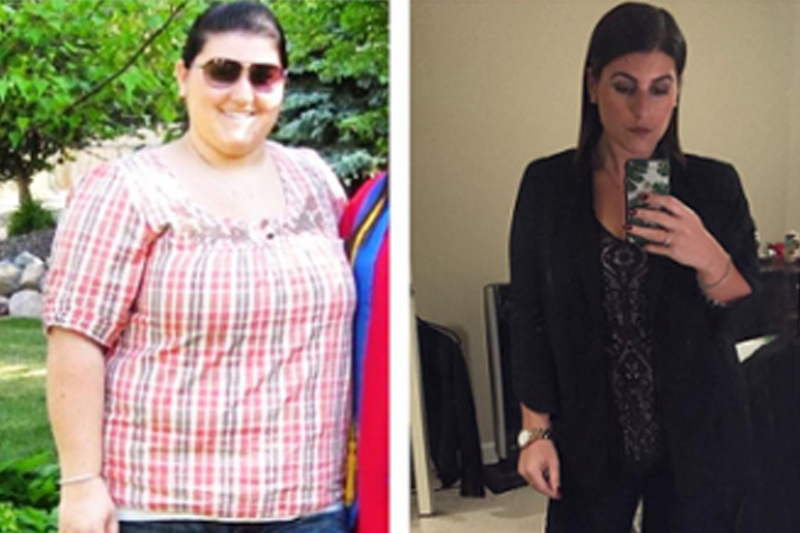 As I began to feel more comfortable with my shape, I started going to spin classes. David Bohn has been helping me develop back strength and realigning my posture, while Erin O’Connor, Neha Mayawala and Ramiro Correa have all encouraged and supported me in incorporating weight training into my workouts, so that I can build muscle and reduce my body fat percentage. Erin O’Connell is the best swim coach I’ve ever had. When I asked her whether she had done any triathlons, she replied, “No”. I challenged her to complete a triathlon with me. “How can a person train another if they have no experience themselves in the sport?”, I teased. It’s a testament to Erin as a swim coach that she’s not a bystander who trains clients, but is supporting them every step of the way. As for my swimming, well, at the beginning of January I couldn’t swim a full length. Only six swim sessions later, I can swim almost forty lengths! I feel extremely well supported and have made plenty of good friends at FFC West Loop, from trainers to members. I really do feel like I’m part of a community. Not only that, but I feel connected to a healthier lifestyle and it’s made my integration to Chicago just so much easier. My goal is to complete my first triathlon with Erin this year, followed by a couple of half marathons and the Chicago Marathon later this year. whose idea of exercise is to binge-watch House of Cards on Netflix, has now started coming to the gym with me. Every Saturday morning, we do a yoga class and then get on the treadmills and plug in our earphones, to complete the Tread Express audio that Austin recorded for me. After that, we do some weight training followed by 30 minutes of swimming. I even bring a bag of snacks to the gym, so that my husband, who is a non-stop grazer, doesn’t use hunger as an excuse to leave the gym prematurely!! 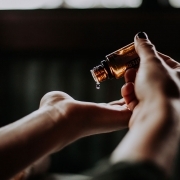 Many of the trainers know about my plotting to get my husband’s fitness to a good level and are so super encouraging towards him and both of us. I’m sure you’ve heard of the proverb that “It takes a village to raise a child”, but it also takes a community to raise an athlete. I’m thrilled to say that FFC has been the perfect community for us. 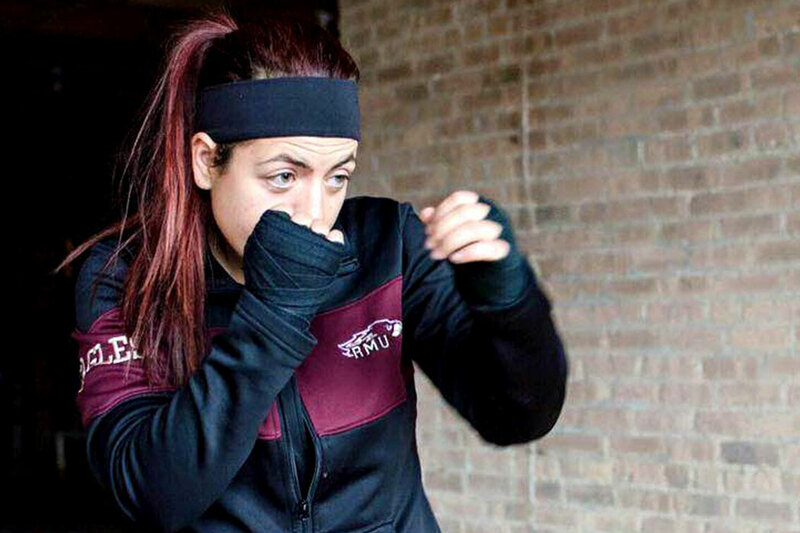 Post written by FFC West Loop member Nisha Harish. 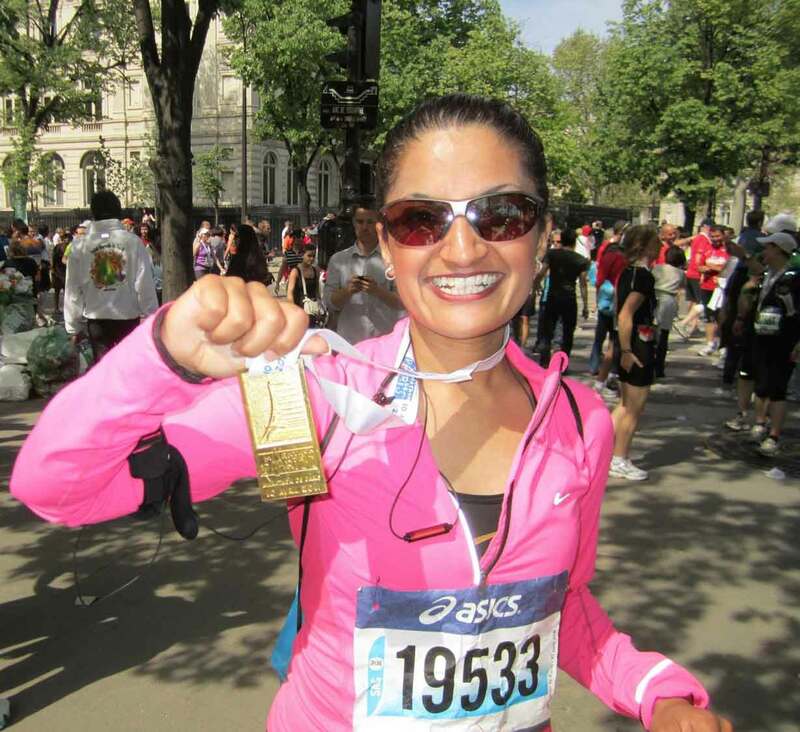 Want to know more about Nisha’s journey? 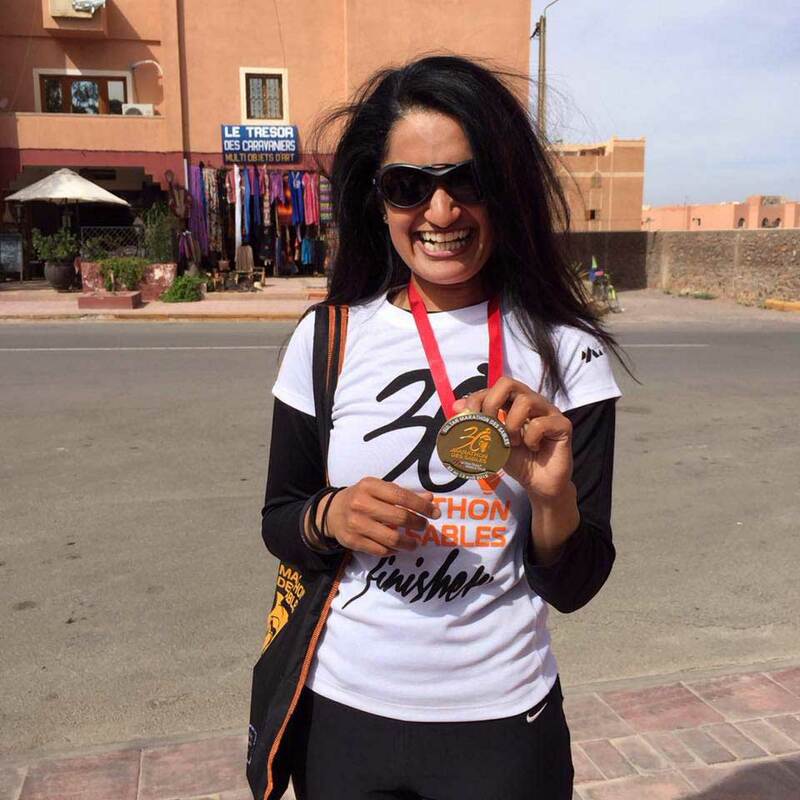 You can purchase her book, Big Steps, Long Strides – a complete guide to running the Marathon des Sables, here and find out more about Nisha on her website!